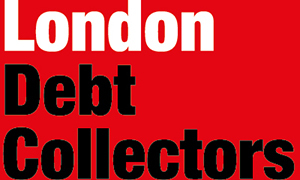 London Debt Collectors Ltd have been working exclusively and very successfully for one managing agent since being granted its Commercial Credit Licence in 2009. Permission has now been received from the OFT to offer this service to other Managing Agents, Landlords, Residents Management Companies and Right To Manage Companies. Our staff include members of the Institute of Credit Management, expert LVT Consultants' and specialist accounting individuals. We operate under the OFT guidance for Debt Collection practices, and aim to strictly comply with the Treating Customers Fairly requirements. London Debt Collectors specialise in Service Charge Debt Recovery, armed with a highly experienced team and an abundance of legal knowledge, we can help you! We have considerable experience of doing cost-effective LVT applications and hearings. Now called the First Tier Tribunal (Property Chamber), the former LVT is increasingly the first port of call for a Section 146 Notice, we specialise in this. Contact us today and receive your first letter completely FREE!